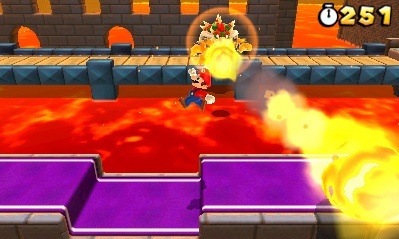 Words were apparently lost in translation, because Mario's papa will remain with the company. Did you hear some whacky news about Shigeru Miyamoto retiring? If so (or if not), you can rest easy knowing the creator of Mario and Zelda has no intention of leaving Nintendo or his current position with the company. In a recent interview with Wired, Miyamoto expressed a desire to leave his post and work on much smaller video games. Video game designer Shigeru Miyamoto's role at Nintendo is not changing. He will continue to be a driving force in Nintendo's development efforts. In discussing his priorities at Nintendo in a media interview, Mr. Miyamoto explained how he is encouraging the younger developers at the company to take more initiative and responsibility for developing software. He attempted to convey his priorities moving forward, inclusive of overseeing all video game development and ensuring the quality of all products. Mr. Miyamoto also discussed his desire to pursue fresh ideas and experiences of the kind that sparked his initial interest in video games. [I]There seems to have been a misunderstanding. He has said all along that he wants to train the younger generation. Unfortunately, Nintendo's stock fell two percent, perhaps as a result of the retirement news. Not sure what happened here. Clearly, some wires (no pun intended) were crossed. We'd also like to think that when it comes time for Miyamoto to retire, a more formal announcement will be made from Nintendo. So to summarize: Miyamoto wants to return to game development and work on much smaller games, plans to train the younger generation (thus imbuing them with his wisdom), but will still oversee big time projects. In fact, he plans to begin one of those smaller games in 2012.